Leasehold areas in Dubai are far cheaper to rent apartments and villas, than freehold communities. This is because the former caters to the affordable market segment and the latter to the affluent, according to a new property report. “A rental comparison between the two areas shows that on an average, apartments are cheaper by 49 per cent and villas 31 per cent in leasehold areas (compared to freehold),” Unitas Consultancy said, in its latest report, ‘Renter’s Ball: The Dynamics of the Tenancy Market in Dubai’. However, the report said villas experienced higher rental growth rates (20 per cent) when compared to apartments in the last five years; but rates had declined in the last one year. “As the market adapted to cater to the pent-up demand, a flurry of new villa projects were launched by private and government sector developers. “In the last year, the dynamics of the villa market have changed with both rents and prices having fallen; whereas apartment rental prices have remained relatively strong,” the report added. Property prices, the report said, have hit a 'plateau'. 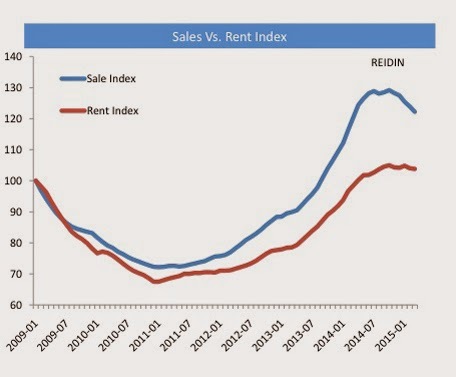 “There is a strong correlation between sales prices and rents (+ 0.8). Given the fact that sales prices have plateaued and have dropped from the peak, rents appear to be following suit with a lag of approximately six months,” Unitas said. An analysis of the income distribution among the working population revealed 84 per cent were skewed towards renting, much higher than comparable first world cities such as London (50.4 per cent) and Hong Kong (48.8 per cent). “While this is partially because freehold ownership is still a relatively new phenomena, it is clear that income distribution levels need to be elevated in order for a wider home ownership base to take place,” the report said, disclosing that 38 per cent of the working class could afford to rent individual units; 17 and 13 per cent could afford to rent one- and two-bed apartments in freehold areas. The report also revealed that the rental gap between apartments in prime locations and secondary locations was 69 per cent and it was 77 per cent for villa communities. 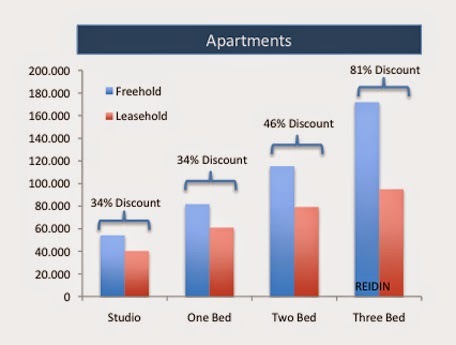 The highest discount was visible in the two-bed apartment segment, whereas the smallest gap was in the studio market. Though villas continued to outperform the apartment segment over a five-year horizon in the prime and secondary market, it took a beating in the last 12 months. 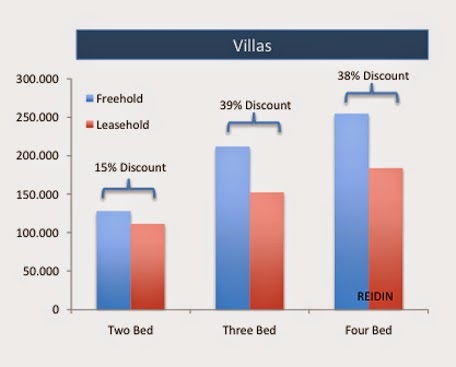 “… the worst performer has been prime villa [communities] followed by regular villa communities. Prime properties have had a sluggish performance relative to the rest of Dubai, highlighting the strong demand within the affordable segment,” the report pointed out. Fifty-four per cent of UAE nationals prefer to pay cash when buying property, according to a new survey by YouGov. Asians expatriates (39 per cent) take the second place followed by Arab expatriates (37 per cent) and Western expatriates (27 per cent), the survey of 308 residents reveals ahead of three-day Cityscape Abu Dhabi 2015, which begins on April 21. Besides, 75 per cent of 'first time' property buyers show interest in buying properties in the country with the survey disclosing that 85 per cent of property owners are more likely to be aged over 50. However, location remains key when investing in the real estate market. Fifty-one per cent of respondents favoured properties near retail shopping malls followed by those close to beaches, public parks and mosques, the survey said. “The study highlights continued confidence in the local real estate market with three-quarters of first time buyers preferring to purchase properties in the UAE,” said YouGov’s UAE Managing Director, Kailash Nagdev. “However customers are looking to invest in more than just a residential unit, which is challenging developers to come up with innovative investment propositions and attractive mortgage schemes to make them affordable for those making their first step onto the property ladder,” he added. 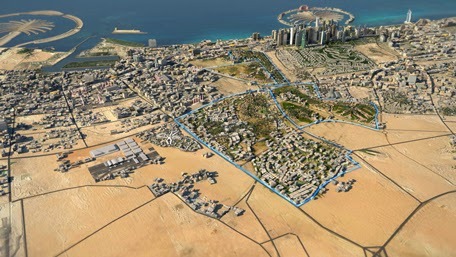 The Abu Dhabi Urban Planning Council (UPC) will unveil its new corporate vision at the Cityscape event. The updated vision and mission statements are more aligned with the its mandate as 'guardian of the Abu Dhabi Vision 2030'. The UPC will also officially announce the projects that have been given the go-ahead in the first quarter 2015, following the recent announcement of 76 Emirates-wide projects during 2014. Falah Al Ahbabi, the UPC’s Director General, commented: “Abu Dhabi is developing at an incredible pace and we, as government entities, must be proactive in developing the kind of platform required to support this growth. “This growth should not comprise the sustainability of the Emirate. “Therefore, Estidama is at the heart of any urban plan or development in Abu Dhabi, whether it be residential, commercial, community or mixed-use. “Additionally, the UPC always considers the lifestyle component, to ensure that a development is as livable as possible. Since the Estidama programme, a building design methodology for constructing and operating buildings and communities more sustainably, was launched four years ago, a total of 11,881 villas and 921 buildings have been awarded a Pearl Rating. Indigo Properties, a Dubai-based developer, will offer villa buyers a BMW320i on the purchase of a villa along with an extended payment plan over three years post purchase and handover in its Orange Lake project in Jumeirah Golf Estates. Buyers can pay 20 per cent of the purchase price on booking the property, with 20 per cent payable on handover and 20 per cent per year for the next three years after the handover. Prices for the villas start at Dh7 million. The developer has tied-up with Mashreq for mortgages up to 65 per cent. “The handover of the properties is expected in the next two months,” company CEO Dev Maitra said in a statement. The project comprises 68 Mediterranean-style villas with themes such as Andalucian, Tuscan, Provencal, Hacienda and Riviera. Dubai Municipality (DM) will commence work on a mega beachfront development set around Al Mamzar Lake in Deira, which will be akin to Jumeirah Beach Residence, according to a senior government official. “We are working on the project and the concept design has been agreed on. It is going to be a destination like others areas such as JBR,” Abdulla Mohammed Rafia, Assistant Director General for Engineering and Planning Sector, Dubai Municipality, told Emirates 24|7. The civic body is working with Emaar Properties, Dubai’s largest developer, on this project. The companies had signed a memorandum of understanding (MoU) in May 2014. “We are expecting to break ground early next year,” he revealed, but declined to give the project cost. The project, which is being planned around the 53-hectare (131-acre) Al Mamzar Lake, will have waterfront residences, serviced residences, retail amenities, fountains and water features, and water-themed leisure attractions. Emaar is currently working on a new waterfront project along Dubai Creek, which is being developed through a joint venture with Dubai Holding. It is also working with Dubai World Central to develop Legacy Park, a 70 million square feet golfing and lifestyle development, in close proximity to the World Expo 2020 venue at Al Maktoum International Airport. Expensive housing, an overloaded transport system and a lack of space are driving thousands of Londoners out of the hectic British capital to other, calmer cities such as Birmingham. The shortage of affordable housing is a major theme of campaigning for the May 7 general election and the National Bureau of Statistics says a record 60,000 people aged 30-39 left London between June 2012 and June 2013. Rather than treading the well-worn route of relocating from the city to the countryside, many have chosen to move to the central city of Birmingham, Bristol in the southwest, or Manchester in the north. "Rental prices (in Birmingham) are half of what they are in London," said Kelly Convey, travel blogger for Expedia. "London is becoming exceptionally hard to be able to afford." Buying a property costs an average of £500,000 in London ($742,000, 695,000 euros), compared to an average of £120,000 in Birmingham. Despite the employment and lifestyle benefits of the capital, not everyone is willing to spend every last penny on London life. Journalist Tom Cullen moved to Birmingham in 2013 after living in London for 12 years, setting up an e-magazine, ichoosebirmingham.com, which reviews food, culture and entertainment in Birmingham. "Birmingham made me the best offer," he said in a December article for the Independent newspaper. "Birmingham won through house prices, culture, restaurants and bars... good schools... space, and low start-up costs for new companies." Chris Pyatt, 29, chose Birmingham to launch his web design company because it is cheaper than London while being close to the capital, which is under an hour and a half away by train. "It has a big catchment area - because we are in the middle of the country, we are accessible," he said in his office on the top floor of a neo-Georgian building, five minutes' walk from the main railway station. With some 1.2 million residents, almost half from ethnic minorities, Birmingham has long been lumbered with a reputation as grey and dull. The city hit the headlines earlier this year after an analyst on US TV channel Fox News called it a "no-go zone" for non-Muslims, drawing derision from many Britons. But Birmingham has had something of a renaissance in recent years. "It's developing into a more attractive city," said Convey. "It's very easy to get around." Britain's second-biggest city boasts four Michelin-starred restaurants, a symphony orchestra, high quality theatre, concert and shopping venues and proximity to two Premier League football teams. Meanwhile, Colin Stanbridge, chief executive of the London Chamber of Commerce and Industry, said that delayed commuter trains into the capital were having a "significant impact on business". "London's transport infrastructure is creaking at the same time as the city's population is booming," Stanbridge said. Birmingham's city centre was almost completely destroyed by German bombing in World War II and then rebuilt with heavy concrete and highways impossible to cross without walking through darkened underpasses. But today the city is being regenerated. Highways have been redesigned and buildings with cutting-edge architecture have sprung up including a new library, the renovated Bullring shopping centre and The Mailbox, a shopping and office development. The main railway station is being redeveloped and office complexes are spreading rapidly. The city added 6,000 jobs in 2014, according to Neil Raimi, chief executive of Marketing Birmingham, the city's promotional arm. "Ten years ago, people in London would have moved progressively a bit further and further out," Raimi said, contrasting that with the current crop of movers. "There is a generation of people who like cities, don't want to go and live in the countryside," he added. While conceding that Birmingham is "not exactly the most glamorous of cities", Convey said it still had a strong appeal. "Everything is accessible," she added. "It is less stressful." Prompt Holding is a well diversified company of different activities created to cater the market needs in United Arab Emirates. The company is pillared by professionals who have over 20 years of experience in the middle east and especially in the GCC. Dubai Metro’s Route 2020 project — the extension of Red Line rom Nakheel Harbour and Tower Metro station to the Expo 2020 site - will drive price and rent increases in communities served by the new route. This, however, will be only once it gets operational in 2018 and is unlikely to lead to any rental increases this year, believe real estate experts. The new route will serve areas such as the Gardens, Discovery Gardens, Al Furjan, Jumeirah Golf Estate, and the Dubai Investment Park, which are home to over 240,000 residents. The extended sector of the Metro line will stretch 15 kilometres and includes seven stations, including two underground ones. 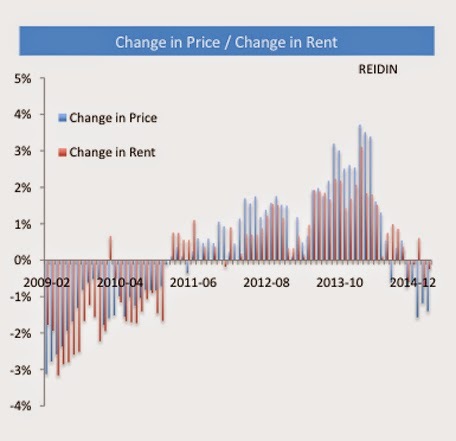 “Rents and currently stable and prices are trending down in most locations across Dubai. 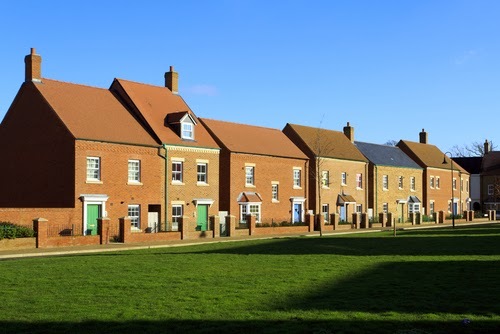 “We expect average sale prices to decline by up to 10 per cent this year. The news of the new Metro extension will not alter this general trend, but it will improve sentiment towards those areas to be served by the new metro extension,” Craig Plumb, Head of Research, JLL Mena, told Emirates 24|7. “The impact of this improved sentiment will be felt first in the sales market as it will result in higher rentals being achieved in the future. “These rentals will not of course apply until after the metro extension is completed and we would therefore not expect the announcement to have any immediate impact upon rentals in 2015.” Mario Volpi,Managing Director, Ocean View Real Estate, said that any future expenditure by the government on infrastructure will give a boost to [investor] sentiment and ultimately improve the fortunes of property owners in those areas. “Dubai is spread far and wide and the more the city is connected via roads and other means of transport, the more its outer lying developments become part of a thriving city,” he stated. A survey by Roads and Transport Authority (RTA), released in 2012, said value of property close to Dubai Metro stations and tracks had surged by seven to 34 per cent since the transport system began operating in 2009. Even studies conducted in countries such as the UK, Germany, Japan, Hong Kong, and the US reveal that mass transit systems have had a positive impact on the value and rents of properties, with hikes ranging between three and 50 per cent. 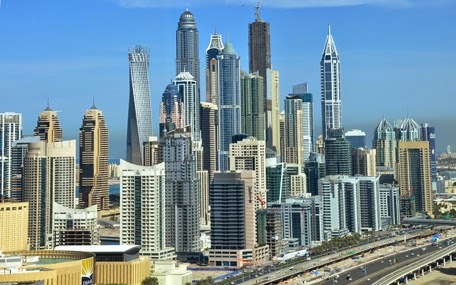 There is increasing evidence that locations next to existing Metro stations are commanding higher prices and rentals, Plumb said, with the trend being most notable in locations such as Business Bay and Jumeirah Lakes Towers – where towers close to the Metro are certainly performing at a premium to those located further away. The areas that will benefit most are those within 400 metres walk of the stations, with a progressive decline in the benefit as you move further away from this radius. A comparative analysis done by Emirates 24|7 in January 2014 found rents in residential towers near Jumeirah Lakes Towers were between 13 and 26 per cent higher than those faraway from the station. “There are no purpose-built high-density transit oriented developments (TOD’s) around the metro system in Dubai to date, as the existing route is largely designed to service existing areas of development. Parvees Gafur, Chief Executive Officer, PropSquare Real Estate, also believes prices and rents are unlikely to rise in the short term, but could led to increase in number of enquires and transaction volumes. “The area on the Metro route will see an increase in transactional activity and will see increases only after 2018. “They will be the new investment hot spots but do remember that over the time we will see more new communities being built and that could drive investor interest to other areas,” he stated. "To provide the service that all others will strive to meet." Through our team of specially trained consultants Link Up Real Estate offers you the advice and guidance to make some of the most important decisions in your life. Whether you are looking for a home for you and your family, or some strategic investment advice Link Up Real Estate offers you a complete solution for your Real Estate requirements across the UAE. Each of our consultants is specifically trained to handle either rentals or sales, furthermore they specialize in both commercial and residential properties. Our objective at Continental Real Estate is to constantly upgrade our comprehensive services and adopt the latest techniques in management and research to better service the market requirements and developments. Therefore, we have always managed to successfully meeting, and even exceeding investor’s expectations, efficiently contributing to their projects supervision, and providing the experts consulting and recommendation to ensure continued success to all projects we have been involved in. Homeland Properties LLC - is committed to realty. We are a trusted name in the property business. Homeland Properties LLC was established in August 1999. The staff is dedicated and offers professional services and investment advise to all its clients. Homeland Properties deals with all aspects of real estate service and caters to need of both individual and corporate clients. Marvin Real Estate Brokers is a dynamic and multifaceted full service real estate firm offering comprehensive and professional services in commercial and residential real estate sale, purchase, leasing, development and investing in United Arab Emirates. provide the foundational certainty able to guarantee your satisfaction with our company. In addition to our ethical standards and practices, we apply academic rigor to understand the market conditions and thus to all available real estate investment strategies. The dream that you are pursuing is your dream and we at MRE want to supply you with concrete details, analyses and options tailored to making your dream a reality. Finally, as your Dubai-based realtor, MRE is uniquely and strategically positioned to render solution centered advice to you from domestic and international perspective. When buying/selling a property, or Developing a project, it is fair to say that there are many aspects that one must consider. Our relationship with our clients is always based on MEREC offering the right guidance and assisting the client anticipates such aspects and factors. Our goal is for you to go through a hassle free process, and make your transaction a successful, pleasant and smooth one. Moreover, one of our main attribute is transparency; a free session with our consultants will reveal the aspects that one must understand. A booming market doesn’t importantly mean hasty decisions; we believe that your decision should be made after your full comprehension, and not only to seize the opportunity. When property ownership was granted to expatriates in Dubai, thousands of buyers rushed to grab a piece of the action. Many people who had been renting decided to buy, and signed contracts without reading the terms and conditions. The result was confusion, dissatisfaction, and many first-time buyers ended up worse off than they had been when renting. We have been in the UAE for the past twenty-four years, involved in real estate. We felt that there was a need in Dubai for a service that protected the interests of both buyers and sellers. We wanted to ensure “win win” results for both parties whatever their objectives. We created Panorama with this in mind. Our client-focused service model and our unique blend of market access and experience help you find what is right for you. As licensed realtors, we provide the care, attention and expertise to help you speed up your search, reduce your risk, maintain control, and make buying, leasing or selling less stressful and more profitable. 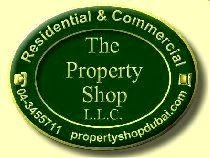 The Property Shop first opened in 1992; property in Dubai was still fairly scarce. Most of the time you had to take what you could get. But we still tried our best to find the right property for all of our clients. Now Dubai is teeming with potential properties for sale or rent, and is expanding on a daily basis. The good news is that means there is the right property out there for you. And we can help you find it. We have recently expanded our operations, and now have a team of 14 specialists in all areas of Dubai to help you with villa rentals, apartment rentals, buying and selling properties. The Property Shop can give advice on all aspects of moving in Dubai. We can also assist you with a curtains/blinds/soft furnishings service; pest control; full villa/apartment cleaning prior to moving in; window cleaning services; garden maintenance and landscaping; swimming pools and pool maintenance; painting & decorating. For landlords/owners, The Property Shop offers a comprehensive service of managing your property on your behalf. At STARWOOD PROPERTIES, we are committed to assisting you in all your real estate needs and this includes buying or selling property that you own or property that you have invested in. Utilizing our database of buyers and sellers, a database that has been built, maintained and used to huge success and over many years, we guarantee stress free and rewarding transactions. Through this intelligence, STARWOOD PROPERTIES will find the perfect match between a client’s investment criterion and a property investment opportunity. IFA Hotels & Resorts, a Kuwait-based developer and operator of luxury mixed-use hotels and resorts, and Morgans Hotel Group Company, a US-based hospitality company, on Monday announced the launch of Delano Dubai, a 110-key hotel apartment project, which will be part of the Dh2-billion The8, a mixed-used resort development, on Palm Jumeirah. “Dubai is an ideal destination for us to debut our first Delano property in the Middle East, which will give our guests a sense of familiarity and affinity with our South Beach, Miami and Las Vegas properties,” said Jason Kalisman, Interim CEO, Morgans Hotel Group. Morgans currently operates 14 hotels around the world, with another four hotels in the pipeline. 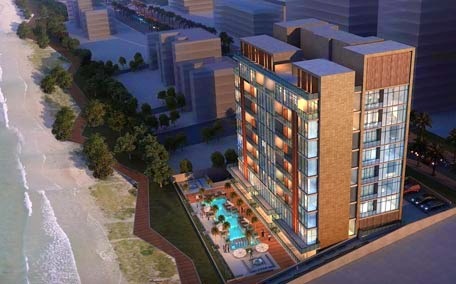 Its first property, the Mondrian Doha, will open in Qatar this year. 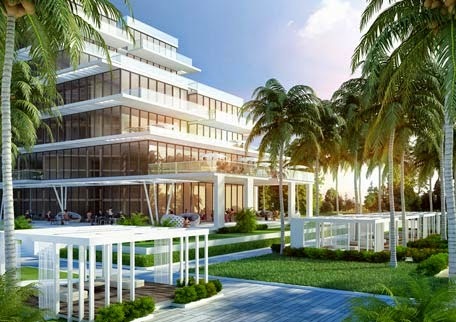 Launched in 2014, The8 draws, which draws inspiration from the fashion, design, and lifestyle elements of Miami’s South Beach, currently under construction. The development will include Delano-branded hotel apartments and freehold residential properties, which have been priced in the range of Dh2.5 million to Dh15 million. 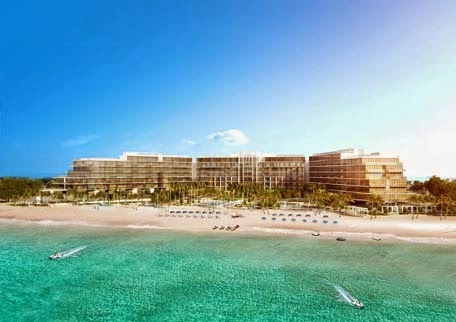 The project will contain resort-style facilities including water sports, a gym, tennis courts, a beachfront restaurant, beach cabanas, barbeque and event areas, as well as dedicated amenities for young families. “The construction has started on The8 with the whole tender being issued to General Contracting Company,” Khaled Esbaitah, Chief Executive Officer, IFA Hotels & Resorts Middle East, told Emirates24|7. “We are getting all the permits needed and we have set a very tight two year schedule to complete the entire project,” he added. 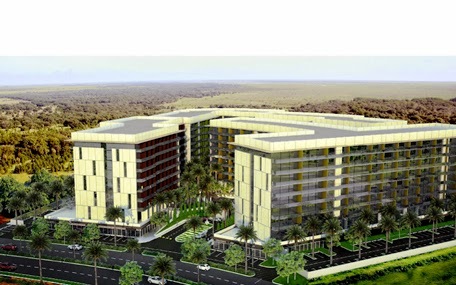 IFA Hotel Investments will oversee the asset management and operational aspect of the development. “The selection process saw many international brands interested in the project but our final choice was the Delano brand,” said Joe Sita, Chief Executive Officer, IFA HI. He said that with the Department of Tourism and Commerce Marketing drive to attract more US citizens to the emirate will benefit them. “The US is very big market and their drive works very much in our favour,” he added. 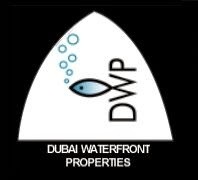 Dubai Waterfront Properties (DWP) was established in 2002 as a subsidiary of the RMK Group of Companies, one of the region’s leading trading houses since 1987. Combining the RMK Group’s local business expertise with the DWP real estate team’s international experience, we are uniquely positioned to guide you in purchasing, selling, leasing or renting some of the most valuable freehold properties in all of Dubai’s prestigious new developments. These include those of Emaar, Al Nakheel and Estithmaar. We invest in Dubai ourselves and carry a portfolio of over 300 properties, so, you get the benefit from our first-hand knowledge. Our international team is fluent in several languages and can advise you impartially on the best way to buy, rent, lease, manage or sell a Dubai property. It's but the almighty that shapes our destiny and it is he who leaves his footprints for us tread on, protected to enjoy the privileges he has provided us in abundance. “Dubai the land in Arabia, with ever changing skyline, Dubai the land of many land marks, Dubai the land of future”. It takes a lifetime of diligent planning, hard work, sweat, tears and sacrifice, for you to manage and build your resource. And this is done to ensure that your loved ones will one day benefit from your achievements which only adds to your sense of relief, satisfaction and pride. Therefore we at Green House have set ourselves very high standards. We promise: We are committed to building personalized solutions on an individual basis. Building Trust! Trust is what every customer really wants. We believe in success. We believe we are not selling a product or a service. We are not! We are establishing a relationship. We believe in nurturing relationships by working with clients and guiding them through their real estate investments. We firmly believe that our clients are not an account, or a number, they are people, respected members of an international community. We believe in fulfilling your wishes by leaving your real estate investment affairs in order is an ultimate gift to your loved ones. Office No. 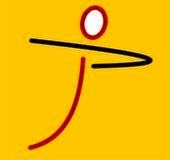 3303, Boulevard Plaza Tower 1, Downtown Burj, P O Box 17122, Dubai, UAE. Kessel and Partners Property Solutions is a renowned realty company in the UAE. Based in Dubai, the company provides quality services in the buying, selling, leasing and investment consultancy in the residential and commercial sectors of the market. The company features a team of real estate veterans who are not only efficient in the services they provide, but are also quite amiable and understanding. The company keeps their customers at the top priority and believes that customer satisfaction is vital for a prosperous business. For all your property concerns visit Kessel and Partners Property Solutions today. Unit No. 0-205, Plot Number 566-0, URJ Building, Floor 2, Al karama, Dubai, UAE. Luxor Properties real estate brokerage, situated in Dubai United Arab Emirates specializes in off-plan and under-construction projects. With our global reach, unrivaled marketing capabilities and expert team, Luxor Properties serves some of the world’s most exclusive and high profile buyers and sellers. We are building Luxor Properties on a foundation of values such as, personal service, transparency, integrity and respect. We value long-term relationships with our clients. We do not charge commission to our buyers. Currently, we are focused on our exclusive units that we have negotiated to 25- 30% below market rates, we are proud to share this tremendous opportunity to our Investors. The project comprises of 54 residential buildings which are divided into 7 different zones. The total project development is valued at 3 billion AED. Currently we have units available in the Lotus Residences (handover February 2015), Rowan Residence (handover November 2017) Lily Residence (handover June 2016) and Winterberry Residences. Each Residence sees 8 buildings that are ground plus eight floors. The completion date for the entire project is due for September 2017. The development is situated in DIP. 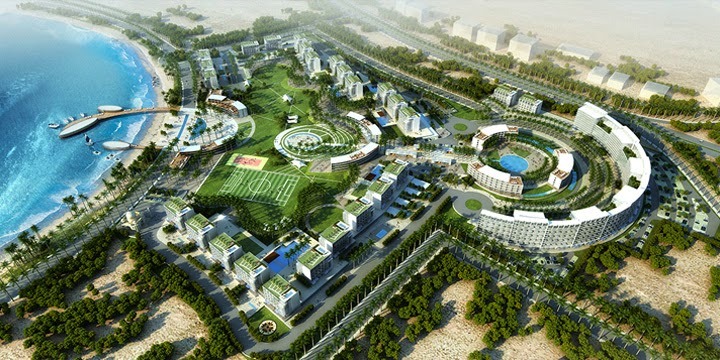 Dubai Investments Park (DIP) is a modern, environmentally friendly mixed-use residential, recreational, business, and industrial development located in Dubai, United Arab Emirates. DIP is 3,200 hectares in size and is located in close proximity to all the major attractions of Dubai. It is approximately 3.5 km in width and 9.7 km in length. 5th Floor, City tower 2, Sheikh Zayed Road, Dubai, UAE. Garden House Real Estate is one of the leading real estate firms in Dubai. We deal in residential and commercial properties of all types and tend to provide the best deals to our clients. We believe in professionalism and maintain transparency while providing services to our clients. Our team comprises real estate professionals who are all set to guide you throughout the property buying selling and renting process. We are here to serve you and we invite you to give us a call or visit our office to discuss your real estate related requirements with us and allow us to find the best properties for you. Office No. 1206, Yes Business Centre, Al Barsha 1, Dubai UAE.